The mantra of social media marketing could very well be "be human." Equipped with Facebook, Twitter and other social media accounts, corporations, businesses and nonprofit organizations have been using these tools to foster more personable relationships with their audiences. There have been many interesting social media experiments such as Lexus' L Studio (an online channel to convey lifestyle) or Burger King's Facebook ad campaign that bribed fans to unfriend followers at a rate of 10 unfriends to one free Whopper. 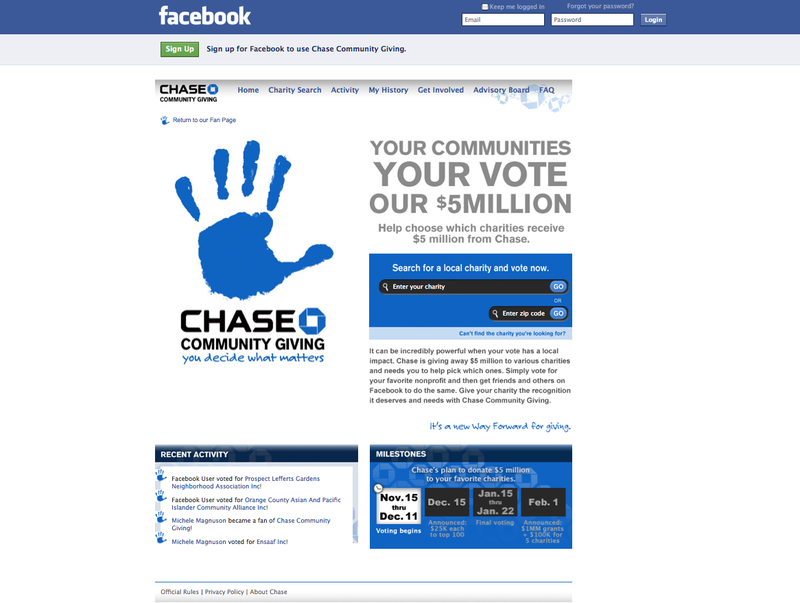 More recently, JP Morgan Chase Bank has asked its Facebook fans to participate in Chase Community Giving, where fan votes determine which nonprofits will receive a cut from Chase's donation pool: A collective $5 million. 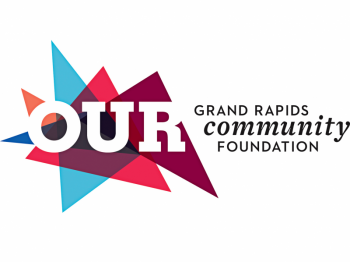 Fifty-two nonprofits in the Grand Rapids area are participating in the program. From Nov. 15 to Dec. 11, these nonprofits will be garnering votes to make it to the top 100, who will receive $25,000 each from Chase. In keeping with Chase's rules, all entrants are 501(c)(3) organizations and have an annual operating budget of less than $10 million. Only Facebook fans of Chase Community Giving's page can participate. Each fan is allotted 20 votes to distribute as seen fit and one ballot can be cast for each nominee. In the second round, fans will have five votes. Linda Krombeen, development director for the Literacy Center of West Michigan, signed her organization up for the challenge. "I have to laugh. I'm older so my daughter created a Facebook page a while ago for me. Now I have to go in and learn to use it," Krombeen said. The Literacy Center employs 18 people and has over 300 volunteers who serve 1,500 people a year. They offer services to improve adults' reading abilities and command of the English language. "It's an interesting process for us because we're just learning as an organization how to use social media and how to use technology in general," Krombeen said. "We have traditionally sent out letters asking for donations. When you're small the way we are, technology costs money ... but we need to do this." Part of Krombeen's initial strategy for the challenge was to recruit her kids, all in their early 20s, to bring in the young vote. Her plan is to keep reaching out to influencial social networkers in Grand Rapids. Over in the Creston and Belknap neighborhoods, Catherine's Health Center (formerly Catherine's Care Center) is known for being a free health clinic that offers primary care, a prescription assistance program and breast and cervical cancer prevention programs. They assist more than 400 clients a month. Caitlin Kleiboer, AmeriCorps member at CHC, saw Chase Community Giving as an opportunity to set up a social media outpost for her organization. "I have no illusion that we're going to win anything," Kleiboer said. "Everyone recruited friends and patients to join, but we're so new to the online thing. Truthfully, it was a way for us to expand our online presence, which is in flux right now." Round two will last from Jan. 15 to Jan. 22, 2010. The nonprofit with the most votes receives $1 million while the five runner-ups will receive $100,000 each. Winners will be announced in early February. Friends and Families of Cystic Fibrosis, Inc.
Grand Rapids Youth Commonwealth, Inc. Specialized Language Development Learning Center, Inc.
United Church Outreach Ministry, Inc.
Go Grand Rapids! It would be great to have some of that money come to a GR non-profit. Vote for Grand Rapids Youth Commonwealth aka Boys & Girls Clubs!!! Julian's Gift, which helps families prepare funerals for children 12 months or younger.